In recent posts I have linked to surveys showing that Russians are increasingly happy. Further evidence for this comes with the publication of the 2015 World Happiness Report. According to this, Switzerland is the happiest country in the world, while most of the top 20 countries are in Western Europe and North America. Russia is in the middle of the pack, being ranked number 64. This is not a particularly high ranking, and indicates that Russians still do not enjoy the same quality of life as people in the West. However, the situation is getting better. 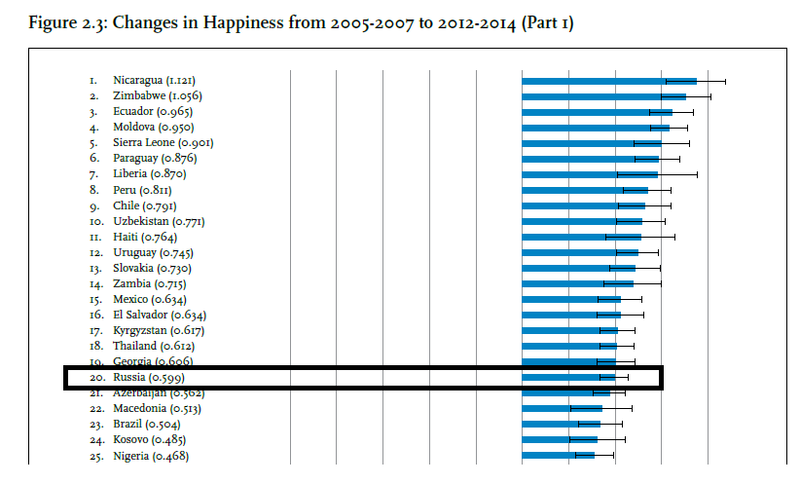 A second table in the report measures changes in happiness relative to the time period 2005-2007. This places Russia 20th in the world in terms of improved happiness. In the same period, according to the report, many Western states became substantially less happy, especially Italy and Greece, but also including the United States of America. 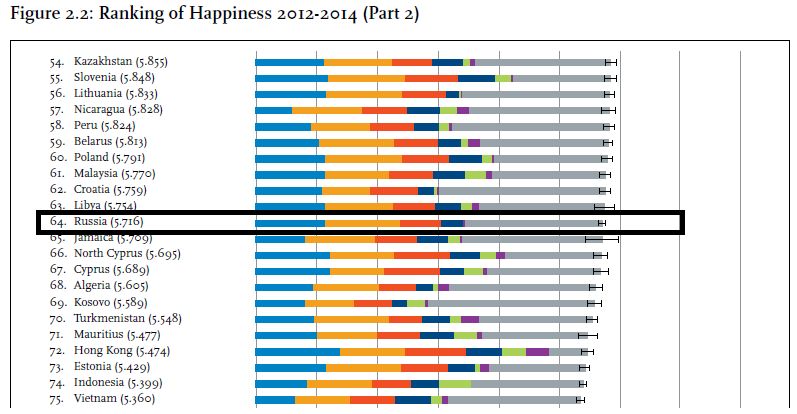 Thus, while Russians are still not on average as happy as Americans, they are, according to this report, catching up. Today (25 April) is ANZAC Day, which commemorates the Australians and New Zealanders who fought at Gallipoli 100 years ago. As I have mentioned before, Russian soldiers were also at Gallipoli, although a little later (in 1921 and 1922). These soldiers made up the First Army Corps of the Russian Army of General P.N. Wrangel, and were interned at Gallipoli after the Red Army had driven them out of the Crimea in November 1921. The hardships and moral resurrection experienced by Wrangel’s troops at Gallipoli gave it a mythological status in the minds of many Russian emigres. Below is a poem by Ivan Savin dedicated to Gallipoli. The (literal and very quick) translation is mine. The monument referred to is that constructed by the Russians before they left. Later destroyed in an earthquake, it was rebuilt in 2008. 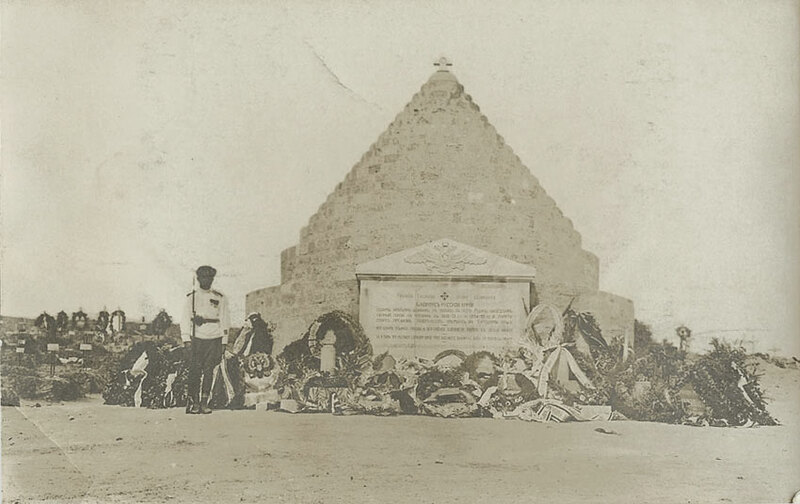 The original Russian monument at Gallipoli. Огневыми цветами осыпали Этот памятник горестный Вы Несклонившие в пыль головы На Кубани, в Крыму, и в Галлиполи. Чашу горьких лишений дo дна Вы, живые, вы, гордые, выпили И не бросили чаши … В Галлиполи Засияла бессмертием она. Что для вечности временность гибели? Пусть разбит Ваш последний очаг – Крестоносного ордена стяг Реет в сердце, как реял в Галлиполи. Вспыхнет солнечно-черная даль И вернетесь вы, где бы вы ни были, Под знамена … И камни Галлиполи Отнесете в Москву, как скрижаль. You strewed with fiery flowers This mournful monument, You who did not bow your heads in the dust In the Kuban, in Crimea, and at Gallipoli. The cup of bitter deprivations You – alive, you – proud, drank to the dregs And you did not cast away the cup … At Gallipoli It began to shine with immortality. What to eternity is the transience of death? Though your last hearth be smashed apart – The crusading order’s banner Will soar in the heart, as it soared at Gallipoli. The sun-black distance flames up And, wherever you are, you return Under the colours … And you carry off The stones of Gallipoli to Moscow, like a tablet. 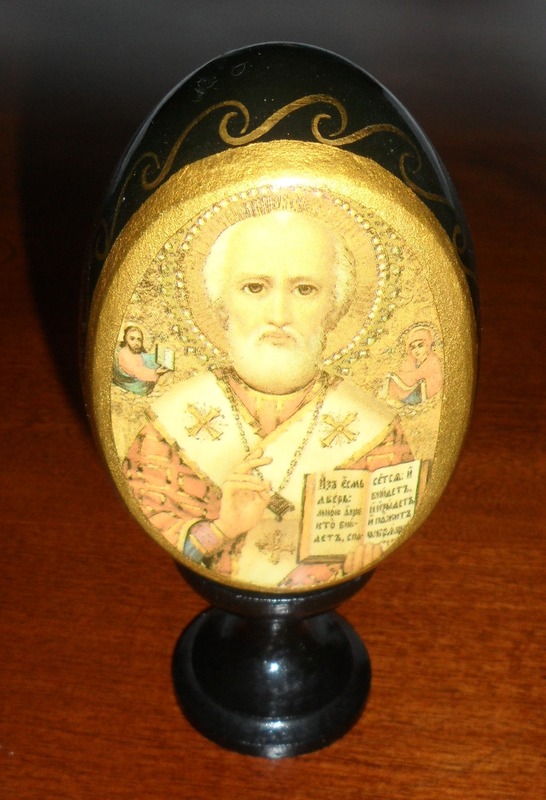 To conclude this month’s religious theme, today’s object is a painted wooden egg of a Russian saint (name unknown). One hundred years ago today (22 April 1915 new style, 9 April 1915 old style), Tsar Nicholas II visited Lvov, the capital of the Austro-Hungarian province of Galicia. The Russian Army had seized the city in summer 1914 in the early stages of the First World War. The capture of the Austro-Hungarian fortress of Przemysl in March 1915 finalized the Russian conquest of Galicia, and the Supreme Commander of the Russian Army, Grand Duke Nikolai Nikolaevich, persuaded the Tsar to visit Lvov to mark this achievement. 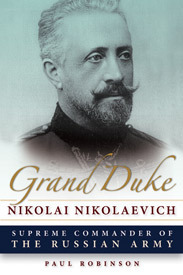 According to the chief of the Tsar’s personal guard, Aleksandr Spiridovich, the local population gave Nicholas a warm reception. 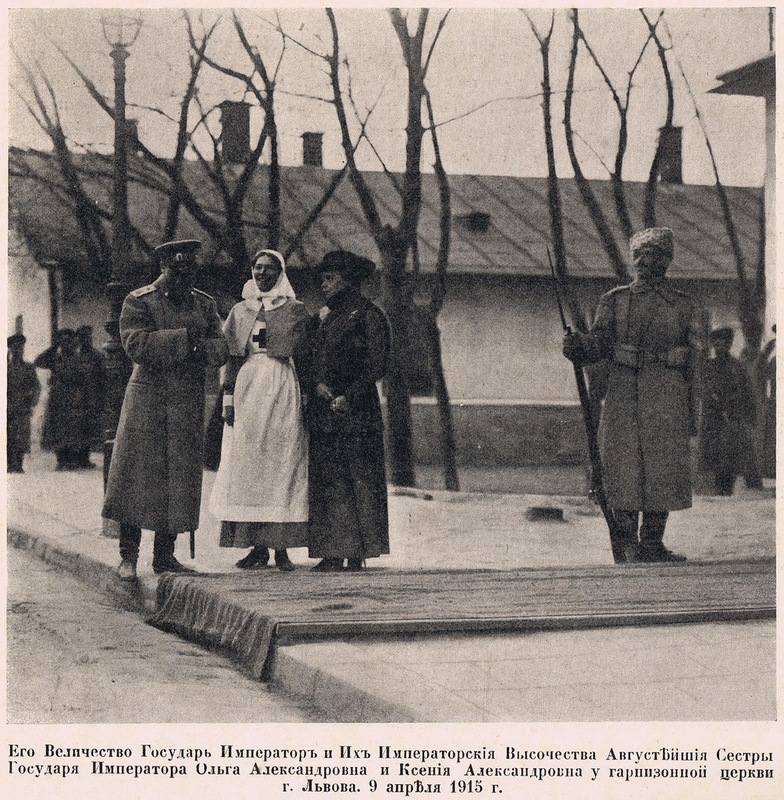 On arrival in Lvov, the Tsar inspected a guard of honour and met his sisters, Grand Duchesses Olga and Ksenia, the first of whom was working in the city as a nurse. Following its recent happiness survey the All-Russian Public Opinion Research Centre, VTsIOM (Vserossiiskii Tsentr Izucheniia Obshchestvennogo Mneniia) has today issued the results of its latest poll, which asks respondents to say how satisfied they are with the situation in the country as a whole and in their own lives more specifically. 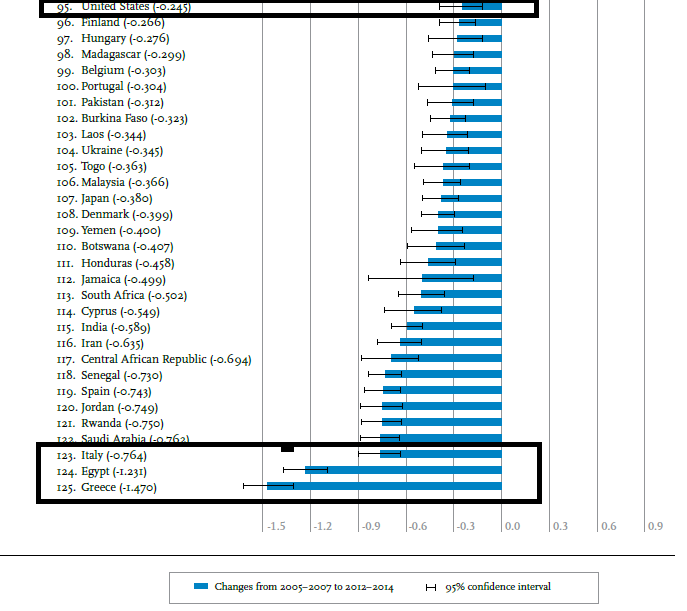 The index provided by VTsIOM at the bottom of the tables below subtracts the percentage of people who think that the situation is bad or terrible from the percentage who think that it is outstanding, good, or just ok, to produce an overall measure of how many people are positively inclined. As you can see, more people than ever before – 70% – are satisfied with the situation in the country, an increase of 32% over one year ago, and double the total two years ago. Meanwhile, 81% are satisfied with their own lives. 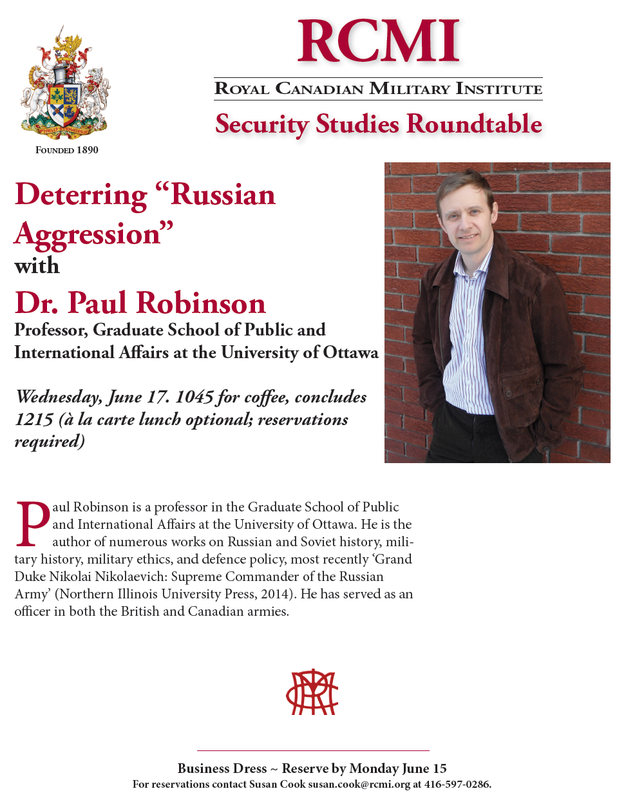 I have an article out in C2C Journal entitled ‘The West’s new “Cold War” is with Dostoevsky’s Russia not Putin’s’. Read it here.